There seems to be a spurt in attacks on journalists and media workers in Pakistan that has seen one killed and two injured within two days, alarming media practitioners across the country. Senior journalist Aftab Alam, 41, was the latest casualty when he was gunned down outside his residence in north Karachi on Wednesday (September 09, 2015) while going to pick his children from school. 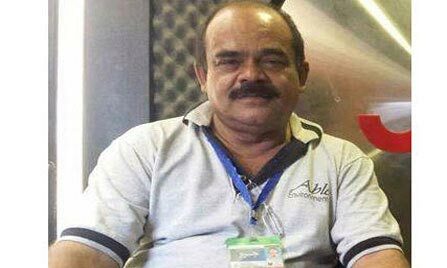 Arshad Ali Jaffari, a technician attached with a digital satellite news gathering (DSNG) van was killed while its driver, Anees Chauhan, wounded in an attack on a team of Geo News TV channel team in the teeming Bahadurabad neighborhood of Pakistan’s southern coastal city of Karachi on September 08, 2015. The same day Abdul Azam Shinwari, a journalist from Pakistan’s tribal regions bordering Afghanistan also received wounds in an armed attack on him in the northwestern Peshawar city. Jaffari, 45, operator of the DSNG van, and driver Chauhan received wounds when their vehicle was attacked by three men riding a motorcycle, police official Abid Qaimkhani told local media personnel. The van was attacked within minutes of two journalists present in the van having left the vehicle in a stopover. It is not confirmed if they were the principal targets. Shinwari, a journalist from Landikotal town in Khyber tribal district adjacent to Peshawar, was shot and wounded by an unidentified gunman, his colleagues told Freedom Network [FN]. “We mourn the death of Mr Alam and Mr Jaffari as the three attacks on media practitioners in less than 24 hours in two cities a thousand miles apart are a grim reminder that Pakistan continues to remain unsafe for journalists,” FN, Pakistan’s first media watchdog organization, said in a press freedom alert issued on Wednesday, September 09, 2015. “The attacks amply demonstrate the high level of impunity that has allowed almost all attacks that have killed over 100 journalists in Pakistan over the past decade going unpunished. This impunity emboldens the many predators of media in Pakistan to continue their reign of harassment and intimidation of media practitioners,” FN said. “The authorities, including both the federal and provincial governments, have spectacularly failed in developing appropriate legal frameworks and mechanisms that can systematically target impunity in line with the country’s endorsement of the UN Plan of Action on Attacks against Journalists and Issues of Impunity,” FN added. This failure, the FN said, is directly contributing to growing impunity and a burgeoning sense of insecurity among the community of 18,000 journalists in Pakistan. The News reported Jaffari suffered wounds when three gunmen riding a motorcycle approached the vehicle outside a department store in the Firozabad police jurisdiction and one of the attackers opened fire. “The injured were moved to the Aga Khan Hospital, where Jaffari died from six to seven bullet wounds to his chest, neck and upper torso. The driver was stated to be in a stable condition. He was hit by a single bullet in the shoulder,” the report said. Jaffari was a resident of Al-Noor Society, Malir, and had been working for Geo News for the past several years. Police official Munir Ahmed Shaikh of the East Range said Geo News employees had come to the Bahadurabad area for reporting and had stopped the DSNG in front of Naheed Superstore. Two of the reporters went inside, while Jaffari and Anees stayed in the van. When they heard gunshots, they rushed out and found their colleagues injured, The News report gave details. Witnesses told the police that the attackers were on a motorcycle and sped away after the attack. Deputy Inspector General Police Shaikh said his men had found nine bullet shells of a 9mm pistol from the crime scene and were checking the CCTV footage for further clues. The September 8, 2015 attack on Geo News is the first since its top anchorperson Hamid Mir survived an assassination attempt on him April 19, 2014 that nearly killed him with his six gunshot wounds. Shinwari, his colleagues said, received three bullets when a young gunman shot him in the legs at 11pm in Hayatabad residential district in Peshawar. “He is safe now as the bullets were retrieved from his body, tribal journalist Sudhir Ahmed Afridi said. The journalist relocated himself to Peshawar after security concerns in Landikotal town in the tribal areas where the government forces are fighting the Taliban militants. It is not yet clear who may have attacked him and why.